WARRANDYTE’S Duncan Robertson and Andrew Beck have created a hot new cooking program. 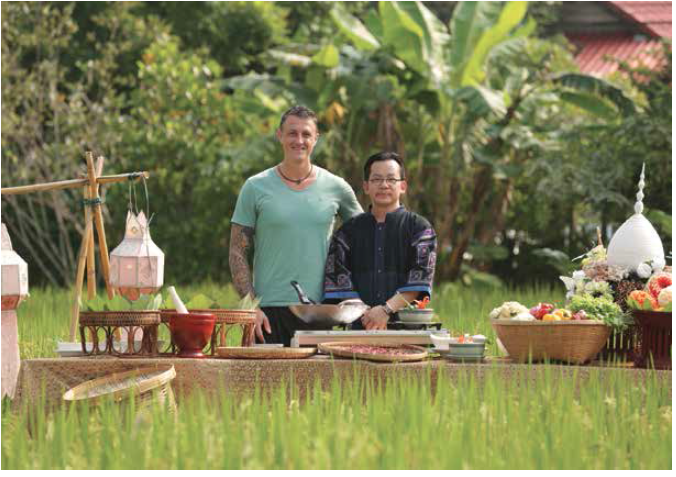 Filmed on location in Thailand, Duncan’s Thai Kitchen follows Warrandyte chef Duncan Robertson of Vanilla Orchid fame, as he journeys around Thailand mixing with locals in the mountains, learning to grow rice, cooking up a storm on beaches and discovering exotic new ingredients. Produced by Andrew and Duncan, using recipes developed by Duncan and Thai-born wife Julia, with music by (brother) Doug Robertson and cinematography by Andrew, the TV series is a true Warrandyte production. Even post-production and sound mixing was done in local studios. The show is breathtakingly colourful, capturing stunning, rainforest waterfalls and bustling markets filled with fresh produce as backdrops. “We set out to make a cooking program that celebrates Thai food and culture but we didn’t want it to be pretentious,” Duncan says. The rapport between Duncan and Andrew is obvious. “We just got on and had a great time. It opened my eyes to what Thailand is all about: colourful and earthy with the freshest, most diverse food and the warmest, happiest people,” Andrew told the Diary. “Andy’s talent in finding perfect locations and using available light to bring it all to life, took away the stress and made the whole experience relaxing for me,” Duncan says. Together, they have created a visual feast, which also provides easy-to-follow instructions on how to make exotic dishes such as jungle pork curry as well as favourites such as pad thai. Working with nine crew members out of a van, which also held all the television and cooking equipment as well as luggage, the trip posed organisational challenges. The team slept in shacks in high humidity, with chickens running around and worked from 7am to midnight on most days but “we never got tired”, according to Duncan. Andrew agrees. “The crew were incredible, with such positive energy”. 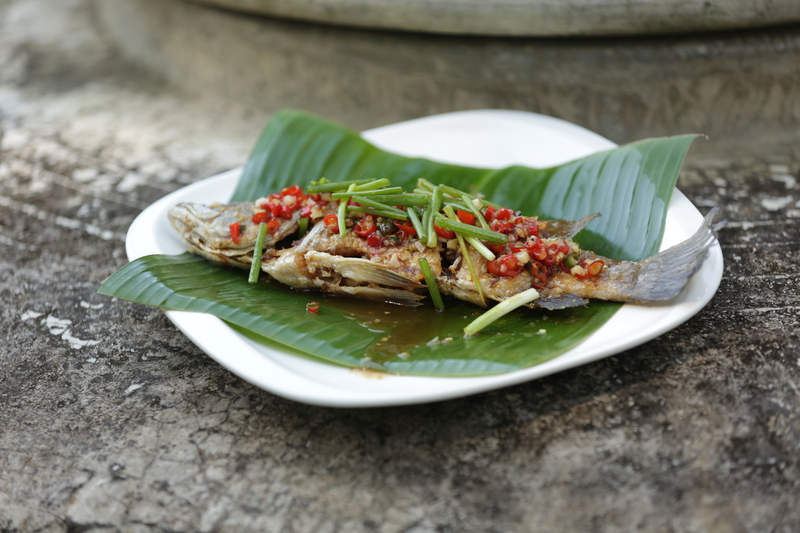 Julia, who Duncan describes as “an amazing chef”, went to the markets each day with her sister Nong to find inspiration and steered many of the dishes. 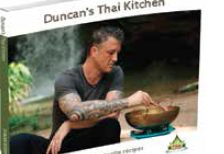 Duncan and Andrew completed the tour and filming in 23 days, resulting in a series of 12 episodes as well as Duncan’s Thai Kitchen, in cookbook form. They are already planning the next series. “We’ve had some fantastic feedback and the ratings have exceeded our expectations,” Duncan says. Duncan’s Thai Kitchen screens on Channel GEM Mondays at 2pm, and is repeated 10.30am Tuesdays and noon Saturdays. The cookbook is available from Vanilla Orchid restaurant in Yarra St.
Hi to all associated with Duncan’s show, my wife Debbie and I never tire of watching the show on Saturday afternoon. Thank you,one and all and keep it going.